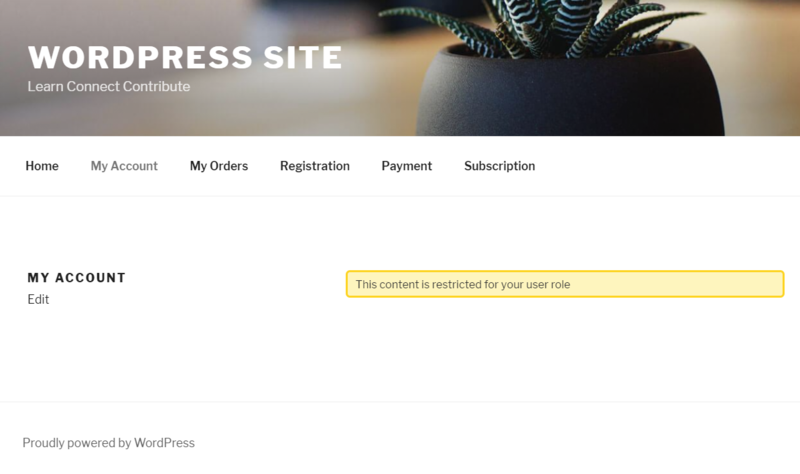 In this doc, we will show you how to restrict content by different user roles. At first, create your content or choose an existing one. For this navigate to WordPress Admin Dashboard → Pages → Add New/Click on your chosen one. Now, scroll down and you will get the WPUF Content Restriction Section. Now, click on the Logged in users only from Display to option. 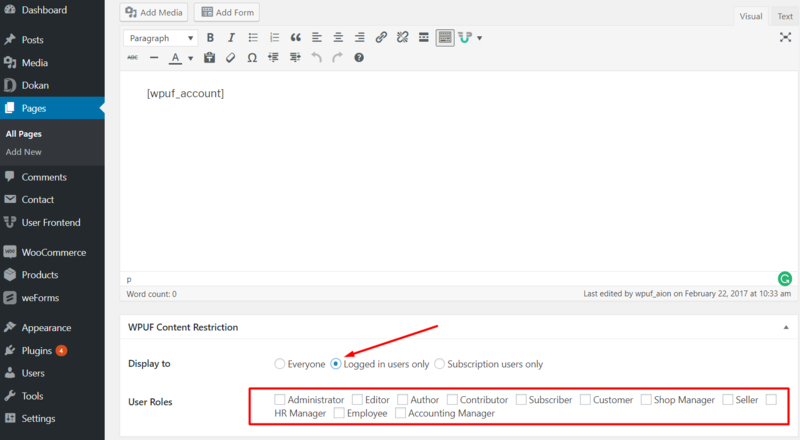 You will see a new field – User Roles. All the available roles of your site will be displayed. Simply choose the user role you want to see the content. Please note that – the user roles you select will view the content. The unchecked user roles will not see the content instead they will get the following message.